The USL’s Austin Azex are a great organization on and off the field, one that is very committed to the community. 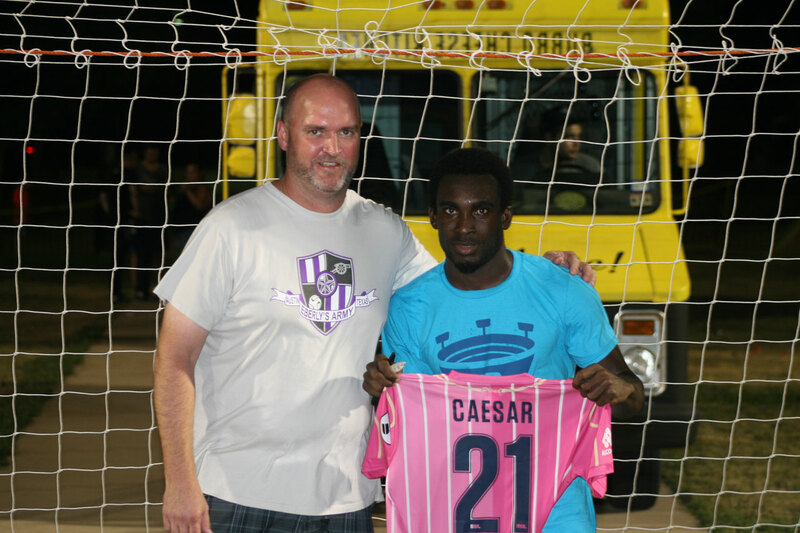 They proved this once again by auctioning off game-worn jerseys from two matches with proceeds benefitting local charities like Susan G. Komen® Austin and the Aztex Soccer Foundation. Susan G. Komen® Austin is an Austin-based nonprofit committed to saving lives locally and fighting breast cancer globally. Komen Austin is a local breast cancer organization attacking the disease on all fronts – education, screening, treatment, follow-up care, survivorship support, advocacy and research. The organization serves the women and men in the city’s five-county area battling breast cancer by removing barriers to care for the uninsured and underinsured. 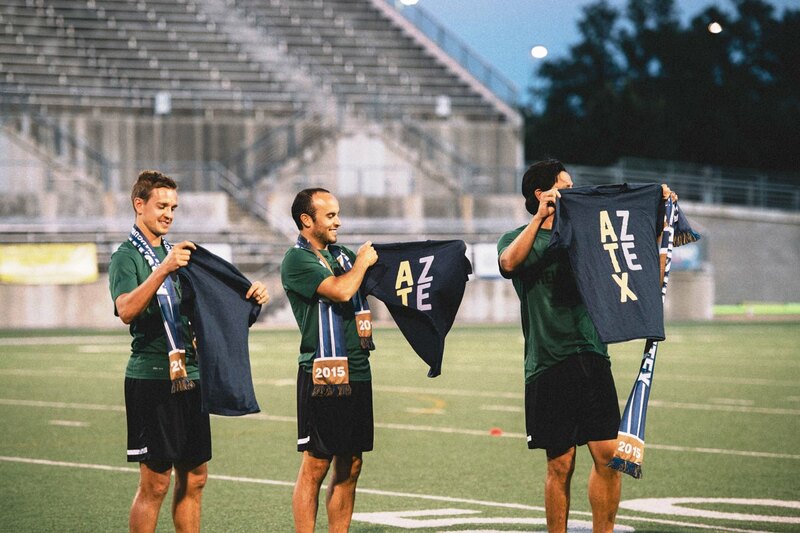 The Aztex Soccer Foundation is a 501(c)(3) organization whose mission is to serve the Austin community by providing scholarships to economically disadvantaged youth for player development and education; funding field development, refurbishment and programming in underserved communities; and partnering with like-minded organizations who use soccer as the primary vehicle to give back to the Austin community. 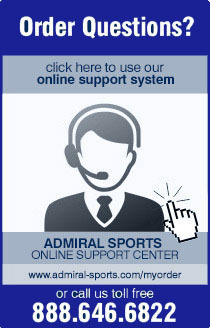 These weren’t any ordinary jerseys, but rather special edition, custom jerseys made for the occasion by Admiral Sports. On May 6 the Aztex wore camouflage jerseys for a May 6 friendly against the All-Air Force squad. On September 5 they wore pink jerseys in honor of Breast Cancer Awareness Month. 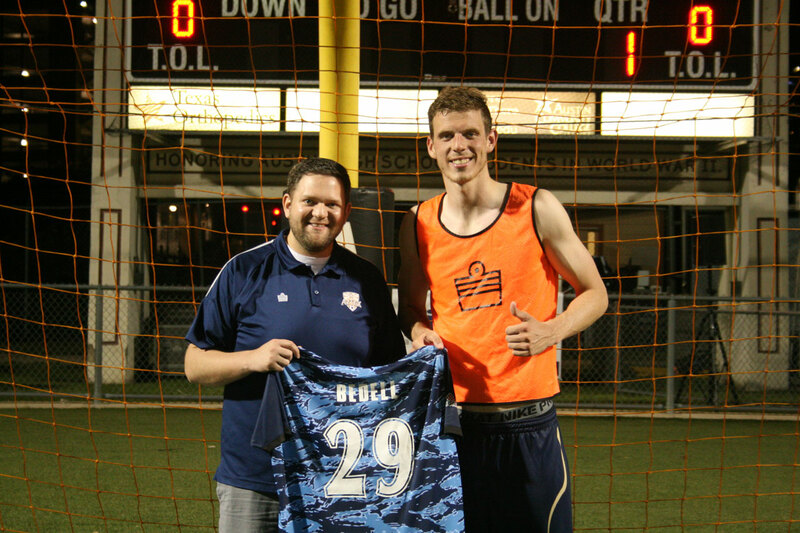 $5000 was raised from these online auctions and Aztex players even met with the winners afterward to present them with the jersey and take a picture with them.